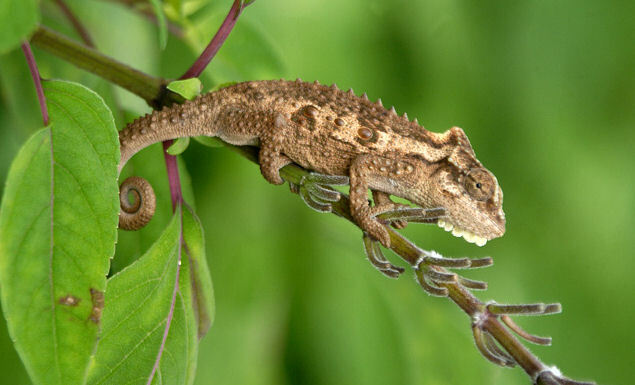 KwaZulu-Natal is the most chameleon-rich province in South Africa, possessing six of the 17 currently described dwarf chameleons – a chameleon genus endemic to southern Africa. 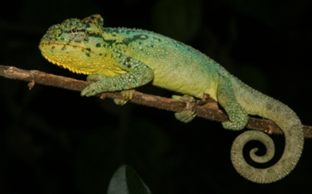 The KZN Midlands is home to two of these chameleons. The more familiar of them is the Natal Midlands dwarf chameleon (Bradypodion thamnobates), commonly identified by its distinctive colouration. Its main habitat is forest, yet due to extensive deforestation and habitat loss from urbanization, it is now often found in gardens and along roadsides, especially in areas of extensive vegetative structure (a variety of bushes and trees, which provide them with shelter from predators and ideally an ample food supply). These chameleons are known to occur from Mooi River in the north to Bulwer in the south, and as far west as Underberg, with Howick being its eastern extent. 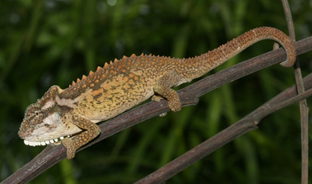 The second species of dwarf chameleon within the Midlands is the KwaZulu-Natal dwarf chameleon (Bradypodion melanocephalum). The extent of this chameleon in the Midlands is limited to the Hilton and Pietermaritzburg areas. However, its range is far more extensive, reaching eastward to the coast. Recent studies have however shown that the coastal and Midlands populations have adapted to their respective habitats, resulting in physical and behavioural differences between them. This new evidence could warrant their classification as separate species. 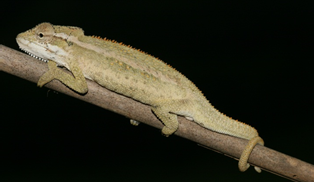 This chameleon differs greatly in appearance from the Natal Midlands dwarf chameleon – it is much smaller in size and pale in colouration. Even though it can also be found in gardens, these chameleons are known to occupy more open vegetation, such as grasslands. Although not yet described, another dwarf chameleon can be found in the Midlands. 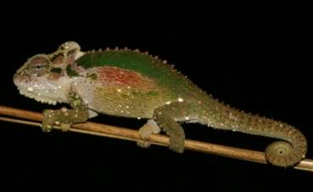 This chameleon is restricted to the Karkloof forest. It is currently considered to be the Natal Midlands dwarf chameleon, however they have been found to differ genetically, as well as in appearance and are likely to be described as a new species in the near future. Even though none of these chameleons are currently considered to be threatened, they are likely under threat from extensive habitat transformation and their narrowing distributions. This is especially so for the Natal Midlands dwarf chameleon, which is potentially made up of different species, thus further reducing each of their areas of occupancy.